Midpoint consoles usually flop, as they offer no new real advantage over the basic current-gen console that would keep a customer from waiting for the proper next generation market entry. The PlayStation 4 Pro, with 70 million worldwide sales before the beginning of 2018, blew that assumption out of the water. The PS4 Pro finally made 4K gaming a reality for the average console gamer. First of all, the PS4 Pro was the first generation of console to destroy the notion of console generations – the Pro is actually the first real instance of iterative hardware that supports all previous titles with new features. Compared to the PS4 proper, the Pro runs at well over twice the GPU speed and gives total power of 4.2 teraflops. This is just the beginning. The PlayStation 4 Pro. Image copyright Sony. 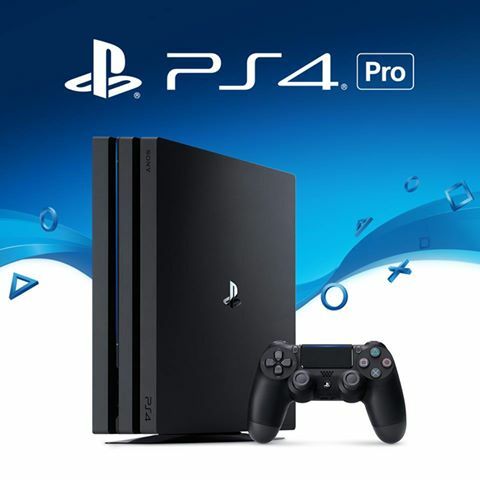 Although the PS4 Pro has the same amount of memory as the PS4 (8 GB GDDR5), the greater speed of the Pro allows the performance of that memory to improve. Additionally, the Pro give you an additional 1 GB to quarantine non gaming applications such as Netflix. This means multiple applications will not slow down your gaming, and you can switch between your gaming and non gaming apps more quickly. The PS4 Pro CPU is a 2.1GHz 8-core AMD Jaguar, another improvement over the 1.6GHz of the PS4. What does all of this mean in gaming performance? What you see from these hardware improvements depends on the game you are playing. Most game devs are using the extra power to bring a higher resolution experience to people with 4K televisions. Graphics can also be made to look more realistic, adding lighting and shadows without slowing the pace of the game. However, the most graphic intensive games still do not run at a true 4K, because the demands of gameplay are too severe. Many games actually upscale to 4K, and because the mainstream has not truly become acclimated to 4K, most gamers cannot tell the difference. Most people simply do not have the full hardware chain to take advantage of 4K tech, and this will probably be the case for at least the next couple of years. You begin to see the cutting edge nature of 4K when you consider the bandwidth considerations for a decent online gaming experience. If you want to run a true 4K game at 60 frames per second (fps), you really need a connection of at least 100Mbps or more. This assumes that the PS4 Pro has priority access and a modem/router that doesn’t drop your speed. This is actually much easier than you might think if you are engaged in an online multiplayer experience, and not so simple if you are looking to Cloud game. Because the PS4 Pro deals with the former, the average gamer should be able to render 4K graphics with a good connection. In rural areas, 100Mbps may be a bit difficult to achieve, but the technology is coming. Look to the PlayStation 4 Pro to maintain its position as the premier online gaming system until the infrastructure and mainstream hardware catches up. Bandwidth Place is a great location to check your resources before beginning a heavy gaming session – especially one that may reflect on your public record for a favored game. Make no mistake – winning those in game trophies starts with your Internet connection!